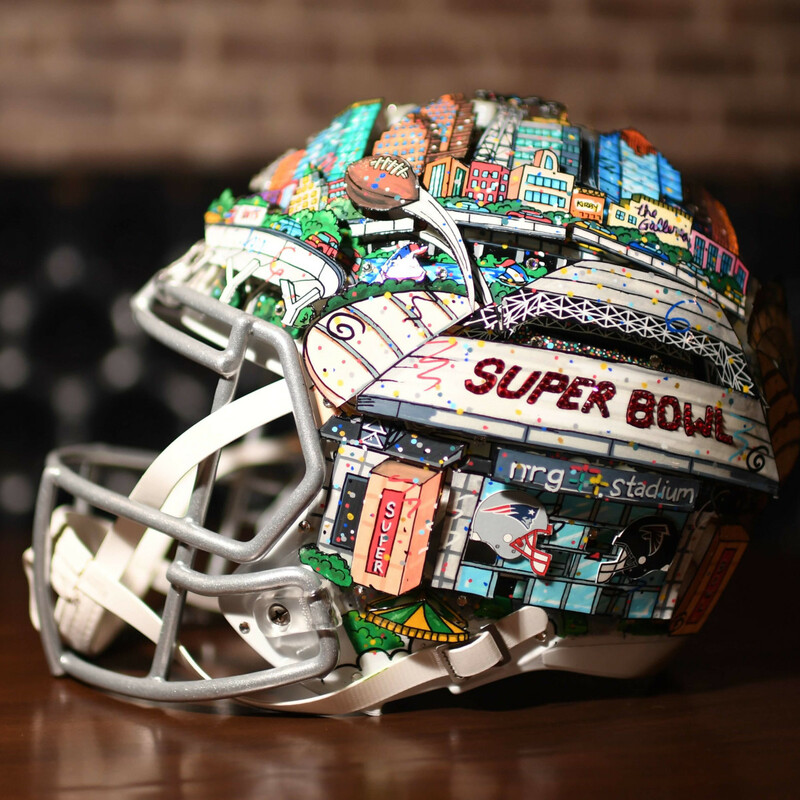 It’s no secret Super Bowl LI has taken over the city of Houston and locals are loving every minute of it. 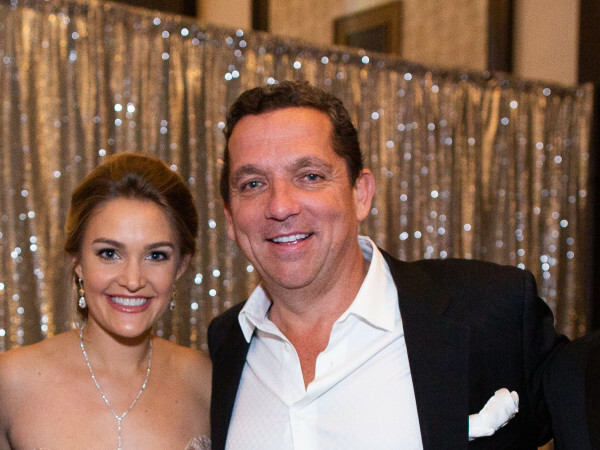 The excitement and hoopla goes far beyond the big game and names like Tom Brady, but some of Houston’s own big names are making a splash for a good cause. 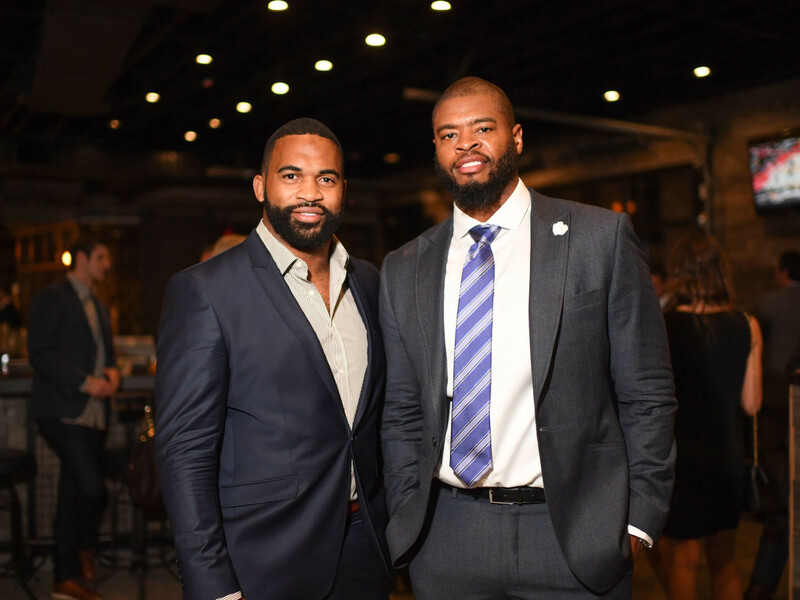 Whitney Mercilus dominated the 2016 season on the field for the Texans, but he’s keeping his commitment to doing good things for the city off the field as well. 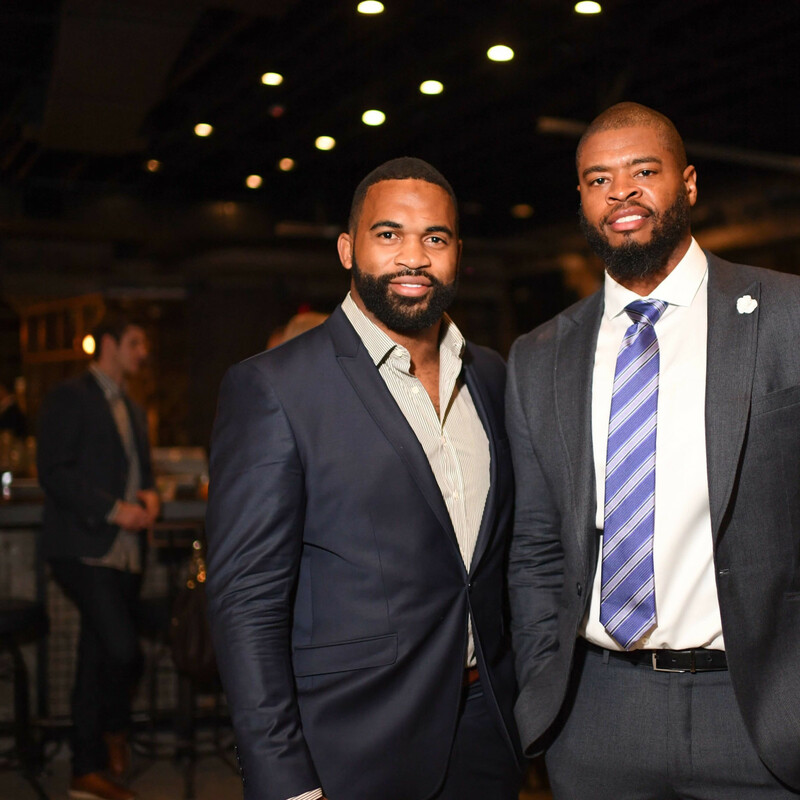 Tuesday night the All-Pro hosted a private reception at the anticipated new whiskey bar/restaurant Bosscat Kitchen & Libations, slated to open later this month, alongside New York-based famous pop artist Charles Fazzino to unveil his officially licensed commemorative painting for Super Bowl LI. 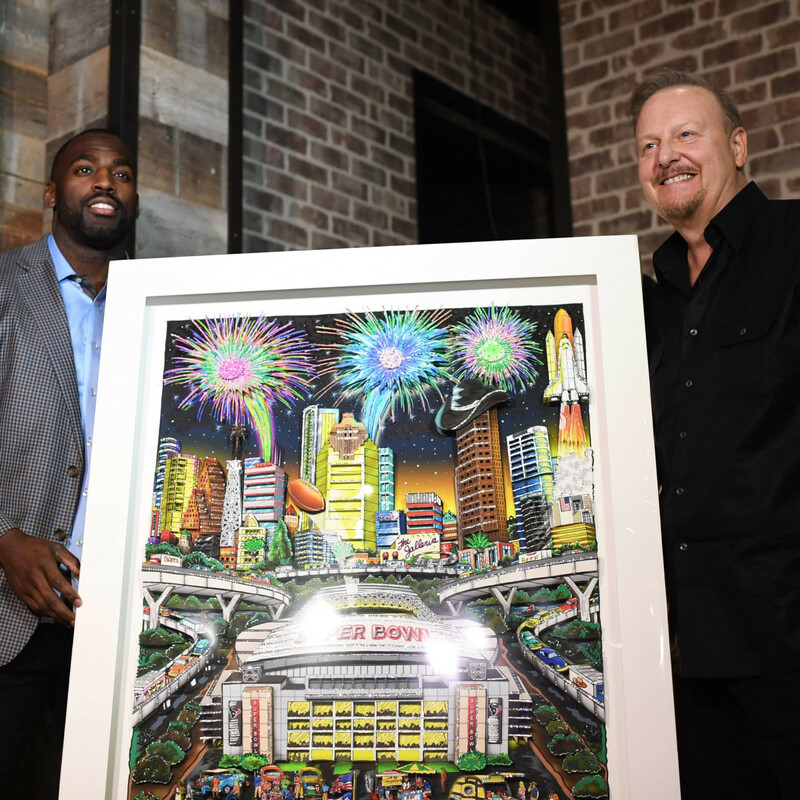 The painting, estimated at a value of $15,000, will be auctioned off at Thursday night’s Bulls & Blackjack Celebrity Poker Tournament & Casino Night. 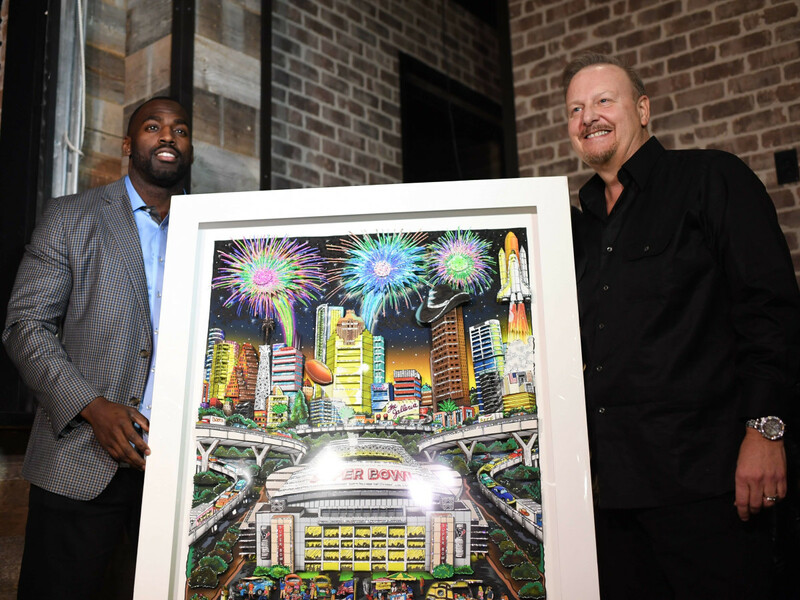 Fazzino donated the commemorative one-of-a-kind 3-D painting to Mercilus’ WithMerci Foundation, which will be part of the festivities and auction items at Thursday night’s ticketed charity event. 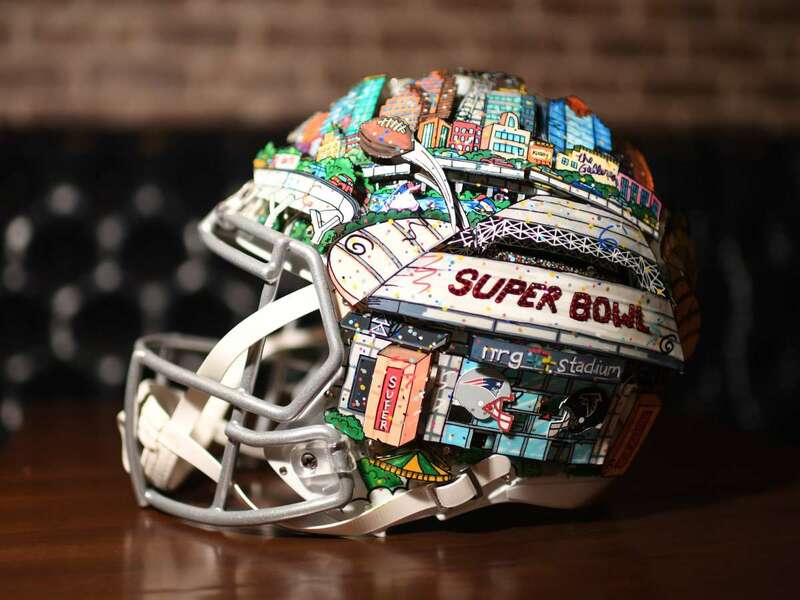 Fazzino is an official licensed artist of the National Football League and the Super Bowl (2000-present), which just adds to the value of his incredible work. Mercilus was alongside former Houston Texans teammates Wade Smith and Darryl Sharpton. 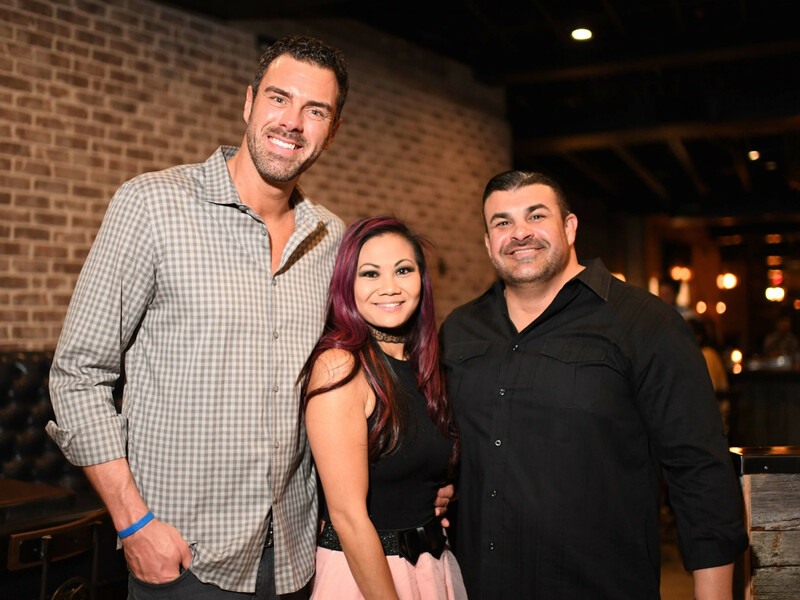 The VIP reception and unveiling included ​Bosscat Kitchen & Libations owners John Reed, Leslie Nguyen and Vinnie Capizzi, the NFL Network's James Palmer, SportsTalk 790 AM's Lance Zierlein, KHOU anchor Ron Trevino, Neera Patidar, Amanda Abiassi, Andrew Pappas, Blair Bentley. Terann Hilow, Ursaline Hamilton, Angela Lipsey, Matthew and Audrey White, and Connor and Emily Tamlyn. 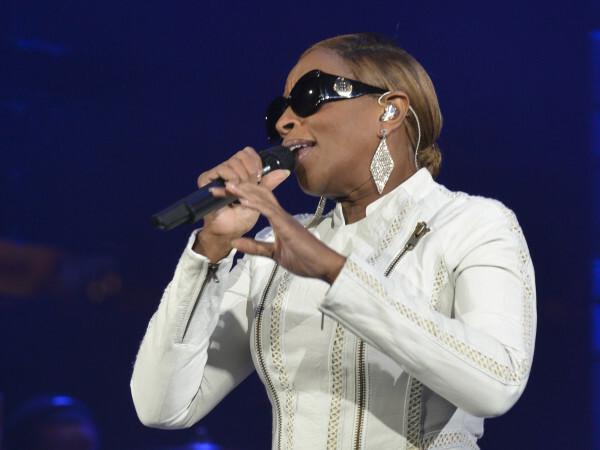 The invite-only crowd got a first and exclusive look at Bosscat while kicking off the highly-touted and busy Houston Super Bowl week. 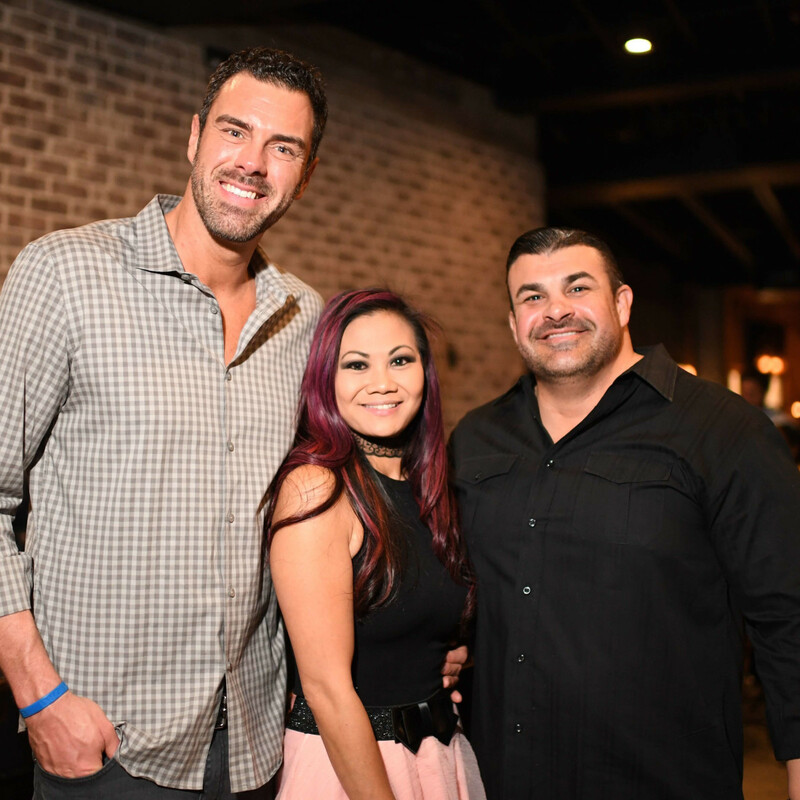 Later this month, the 6,900 square foot venue with 220 seats, more than 300 whiskeys, and epic people-watching will be open to the general public.